On July 23, the Attorney General signed the Department’s Notice of Proposed Rule-making (NPRM). This proposal will be an amendment to the Americans with Disabilities Act title III regulation to provide closed movie captioning and audio description to give people with hearing and vision impairments access to movies. What is closed captioning and audio description? Well, closed movie captioning provides text to describe the movie to someone with a hearing impairment. Audio description provides spoken narration of key visual elements of the movie to someone with a vision impairment using a wireless headset. Audio descriptions include narration of actions, settings, expressions, costumes, and scene changes. The Department is working to provide a nationwide standard for movie theaters to exhibit movies with closed movie captioning and audio description for all showings of movies that are available with closed movie captioning or audio description. This rule would not require an independent obligation on movie theaters to add captions or audio description to movies that are not already available with those features. ADA title III requires movie theaters and other public accommodations to provide effective communication through the use of auxiliary aids and services. This rule-making would specify requirements movie theaters will need to meet in order to satisfy their effective communication obligation. Do you have an opinion on the NPRM? If so, visit regulations.gov. They will have a comment period open until September 30, 2014 and want to hear from you. Want to share your comments with us? Comment below! We’d love to know what you think! 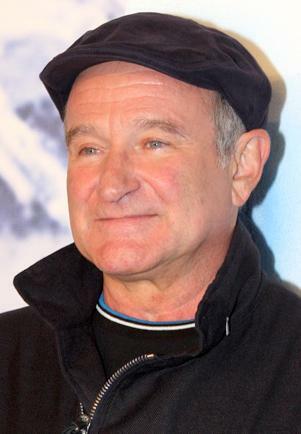 The death of the beloved comedian and actor, Robin Williams, shocked many. He took his own life on August 11, 2014. His publicist said he had been battling severe depression as well as addiction as of late and lost the battle. Sometimes, the people who gift us with happiness are the ones that can’t find it themselves. Every 13 minutes, someone dies from suicide. 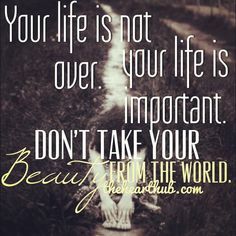 It is among the top 10 causes of death in the US. Sometimes, I think we forget that depression can affect anyone. Depression doesn’t just happen to a specific group of people. It can happen to someone who seems well loved–to someone who appears to be happy. Currently, about 34,000 people commit suicide each year. That number is about twice the amount of deaths caused by homicide. According to the World Health Organization, depression will outpace cancer, stroke, war and accidents as the world’s leading cause of disability and death by 2030. It can be hard to identify when a loved one is depressed, let alone when the loved one has progressed to suicidal tendencies. Individuals with depression or who appear suicidal may talk about feeling hopeless or guilty. They may pull away from loved ones, give away possessions, or complete other tasks that are geared toward getting their affairs in order. So what can be done? If you or anyone you know is struggling with depression, seek immediate help. Depression doesn’t occur because of a lack of coping skills, personal weakness or a character flaw. It’s something that can happen to anyone. If you or a loved one suffers from depression or seems suicidal, don’t be afraid to seek help. Reach out to a loved one or one of the resources below when you are in need. 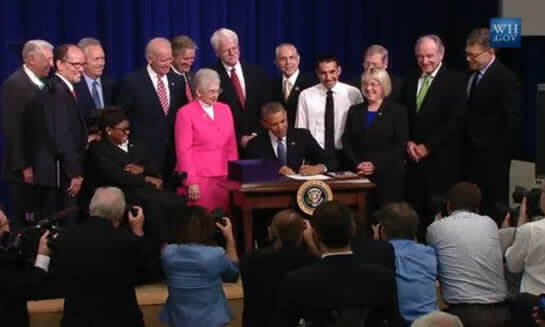 President Obama signed the Workforce Innovation and Opportunity Act (WIOA) on July 22, 2014. What does this mean? It reauthorizes programs that had previously been authorized under the Workforce Investment Act of 1998, as well as programs under the Rehabilitation Act of 1973. So how does this legislation affect us? Currently, people with disabilities have the highest rate of unemployment of any group, and more than two-thirds don’t participate in the workforce at all. This legislation aims to change that. The WIOA aims to ensure individuals and youth with disabilities have the skills necessary to be successful in businesses that provide competitive, integrated employment. The legislation emphasizes the need for youth with disabilities to have more opportunities to practice and improve their workplace skills, consider career interests, and get real world work experience. At least 15 percent of Federal vocational rehabilitation program funds will be set aside to provide pre-employment transition services to assist students with disabilities make the transition from secondary school to post-secondary education programs and competitive integrated employment. Another change is impacting State Independent Living Services, National Institute on Disability and Rehabilitation Research, programs under the Assistive Technology Act of 1998, and Centers for Independent Living. While under previous legislation, the Dakota Center for Independent Living was classified under the Department of Education, now we will be transferred to the Administration for Community Living in the Department of Health and Human Services along with the others listed. While this change may seem like a big one, the Dakota Center for Independent Living is ready for it. Many people from a variety of Centers for Independent Living across the USA see this change as a positive one. What do you think of the Workforce Innovation and Opportunity Act? Leave your comments below.